With the Spring Festival and the birth of Lunar New Year fast approaching, the Selangor Turf Club welcomes racing fans to come together in ushering in the Year Of The Pig at the Selangor Turf Club. 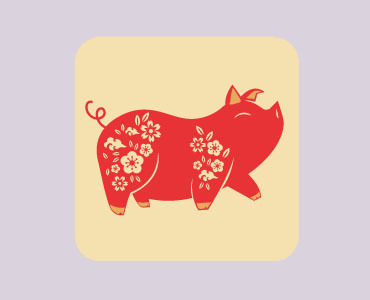 The Selangor Turf Club’s race meeting in the Year Of The Pig will begin on Wednesday, February 6, 2019, which marks the second day of Lunar New Year. Patrons visiting the Sungei Besi Racecourse will be welcomed by the display of red lanterns and decorations to mark the Chinese community tradition, signifying auspiciousness and prosperity. Among the events that have been arranged by the Club on February 6 are, Welcome Greetings by Lion Dance, Giveaway of Mandarin Oranges and Acrobatic Lion Dance. In conjunction with the celebration, races on the day and on Sunday, 10 February will be named after Chinese auspicious names. On the racing front, racing fans will witness the running of OUG Jade Wilayah Silver Bowl, sponsored by OUG Jade Restaurant. The race is Open to horses in Class 3 running over a distance of 1200 metres and offering prize money of RM53,000.00. OUG Jade Restaurant situated in Overseas Union Garden, Kuala Lumpur offers Chinese Cuisine dining for lunch & dinner and is open 7 days in a week. Meanwhile, Sunday, 10 February will see the running of a series of races sponsored by Safar Gemilang Sdn Bhd, a specialist in Data Centre Infrastructure & Design and Management Company located in Kuala Lumpur. Their engineers have a wide range of skills and years of experience in the industry and their project managers have phenomenal experience and technical expertise.